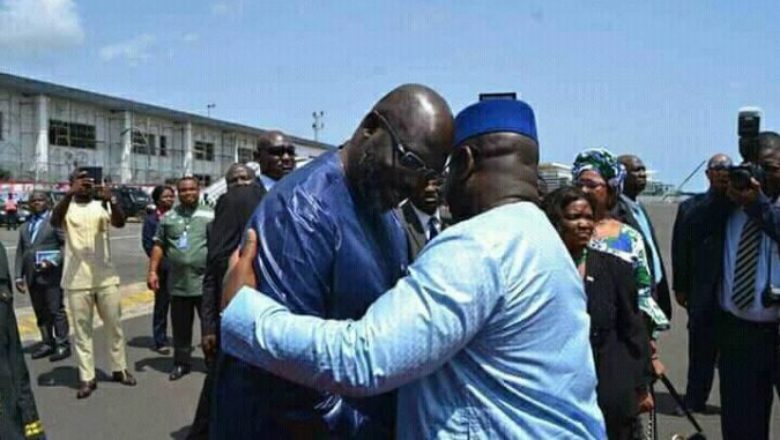 President George Weah departed Monrovia Friday for neighbouring Sierra Leone to attend the inauguration of his counterpart Julius Maada Bio in Freetown on Saturday.President Weah’s trip is a result of an invitation extended to him by President Bio during his one-day working visit to Liberia on Tuesday on May 8. The two leaders used the visit to share ideas on ways they can work together to enhance security and economic cooperation between the two Mano River Union member states. The Liberian leader will join other counterparts from the West African sub-region who are also expected to grace the occasion that sheds light on Sierra Leone’s democratic triumph after a mind-boggling election.